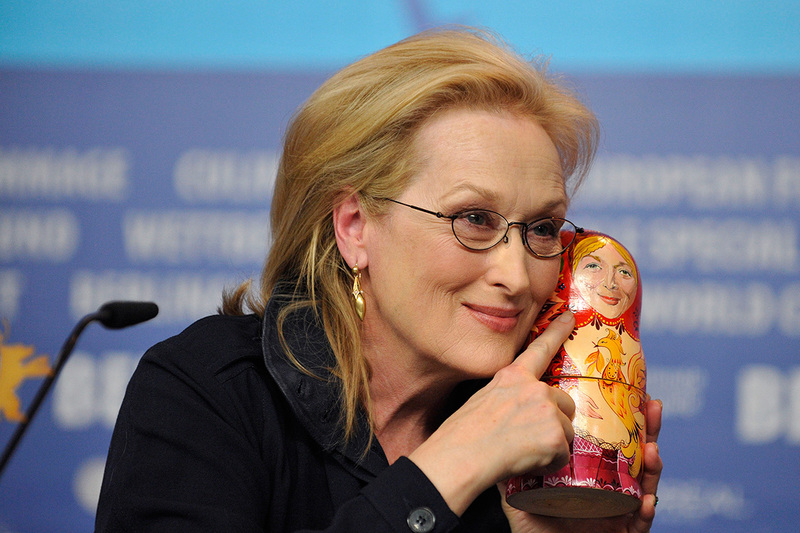 Meryl Streep and Sting captured with a Russian nesting doll, the perfect souvenir from Mother Russia. Decorating Matryoshkas is a chance to show creativity: there are many dolls depicting politicians, both Russian and foreign, movie stars, LGBT “rainbow” colors, dolls with architectural landmarks, yellow Lego faces, Russian winter landscapes, icons, Father Frost (Russian Santa), characters from Russian fairytales … Or actress Meryl Streep. Traditional Russian design elements can often be seen around the world. While the Zhostovo pattern and Russian filigree or ‘skan’ are beloved by famous designers, and the Gzhel motif has featured in several collections by Dolce&Gabbana, the Matryoshka or Russian doll is the best souvenir to bring back from Russia. 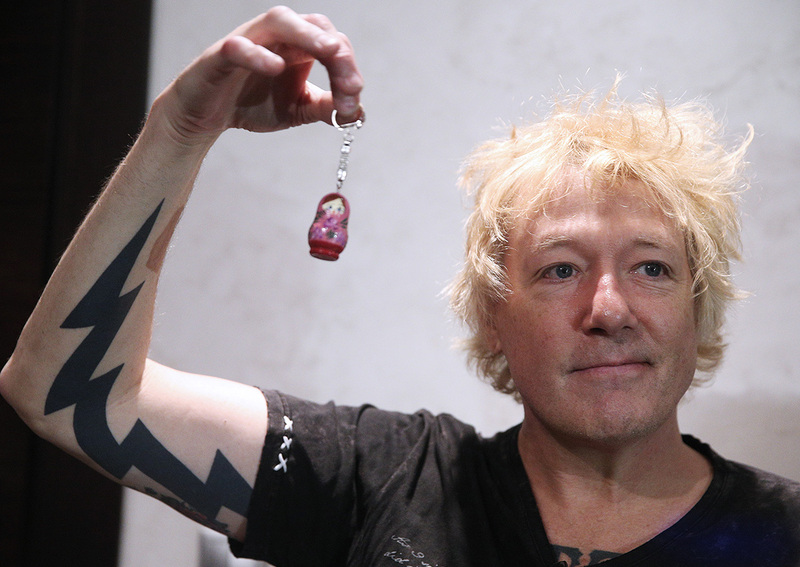 / James Kottak, the member of Scorpions band, during the press conference in Moscow, Russia, 2015. A Matryoshka is a wooden doll containing several smaller dolls. The number of dolls inside varies. There are expensive Matryoshkas with hundreds, while an ordinary one has from 2 to 10. 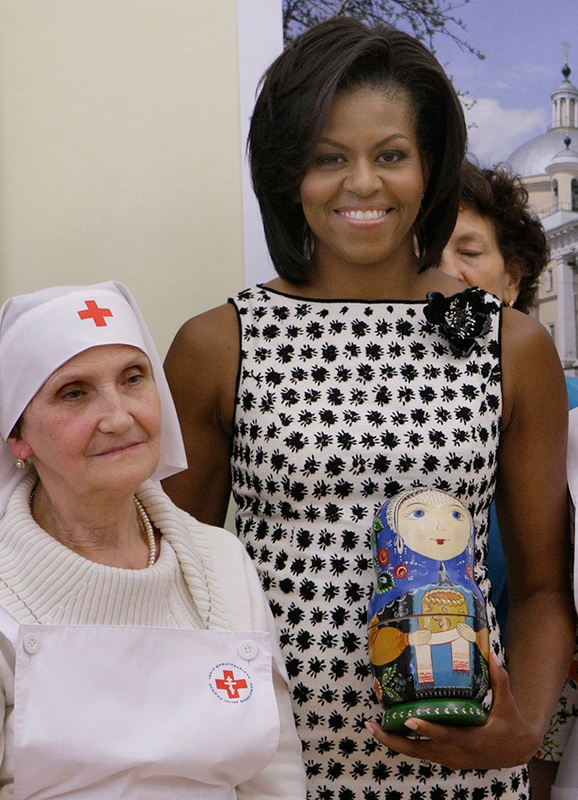 / Michelle Obama during her visit at the St. Dimitry nurse training college in Moscow, Russia, 2009. .... Or NASA astronaut. 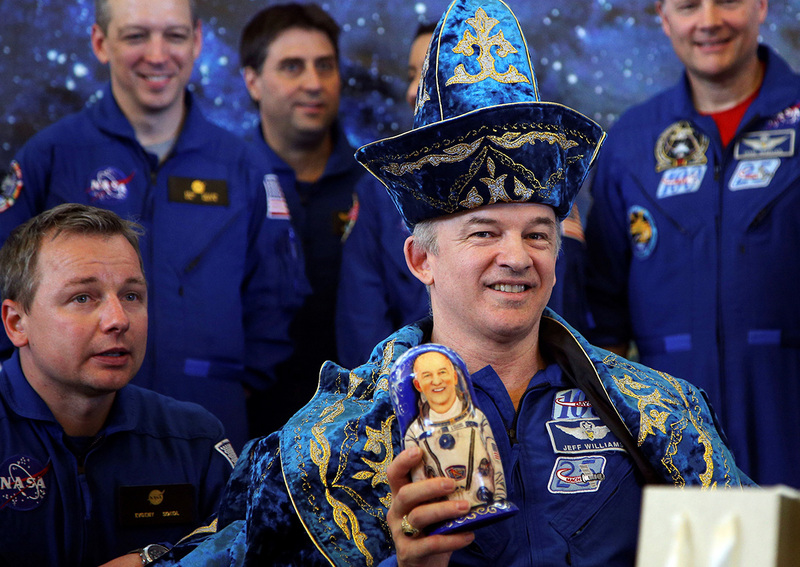 / The International Space Station crew member Jeff Williams wearing Kazakh national costume holds a Matryoshka during a news conference in Kazakhstan, 2016. Although choosing is no simple matter, it’s a great gift for your friends. 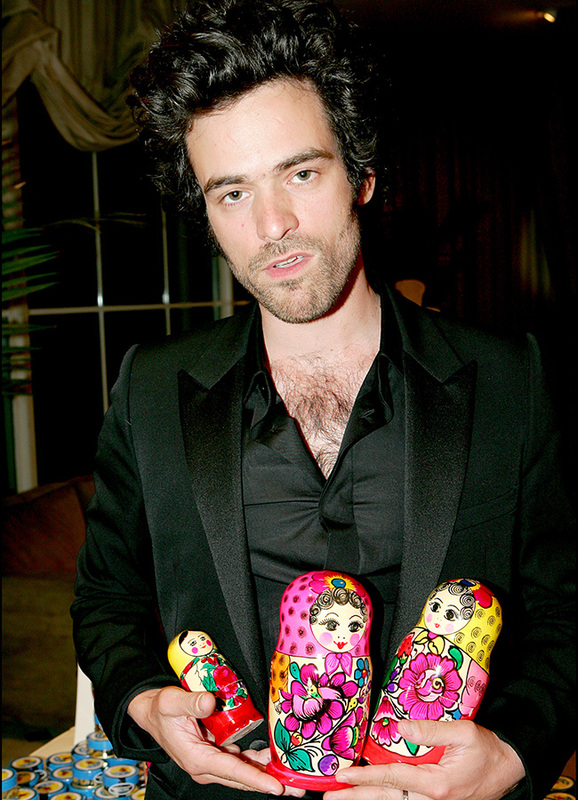 / French actor Romain Duris at film premiere of Russian Dolls movie. Watch RBTH video about matryoshka following the link. Many movie stars and singers seem to think the same. 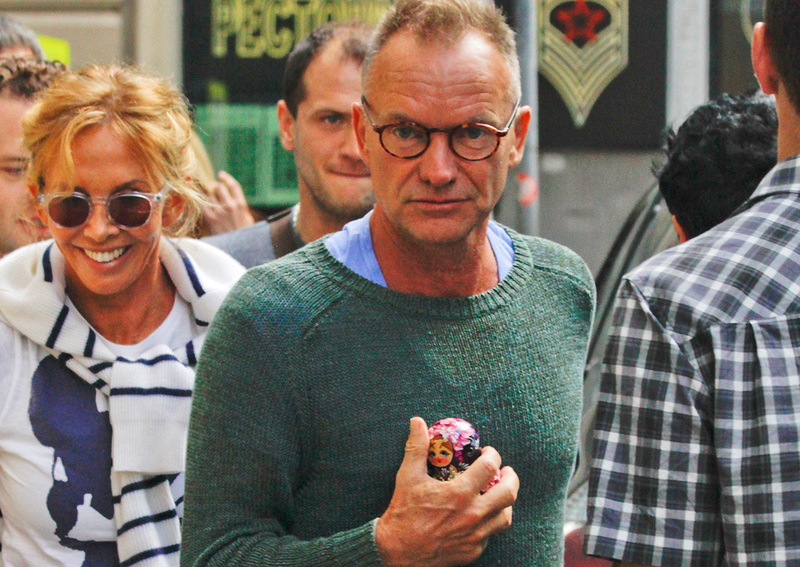 / Singer Sting with a Matryoshka doll, presented by a fan, as he walks along a street in Moscow, 2012. The traditional Matryoshka is a doll with a female face, wide eyes, red cheeks, pretty smile, and a braid. The hair is covered with a shawl adorned with flowers, green leaves, and a traditional Russian pattern. 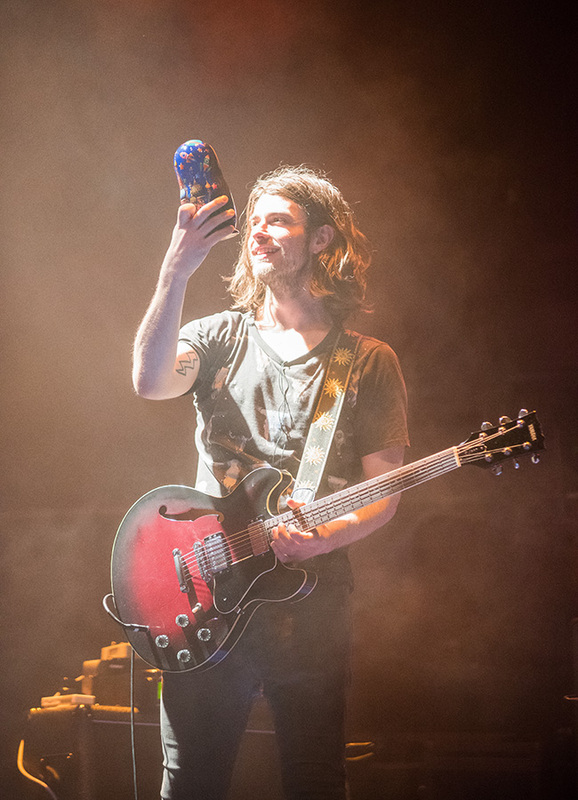 / Jamie Dean, the guitarist of an Irish band God Is an Astronaut during the concert in Moscow. It can be any size you like — some Matryoshkas you can see from afar. / Russian model Natalia Vodianova poses with Russian dolls at the Russian Winter Festival in London, 2008.